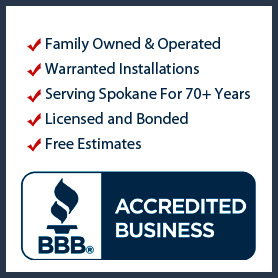 have been around for many years now. 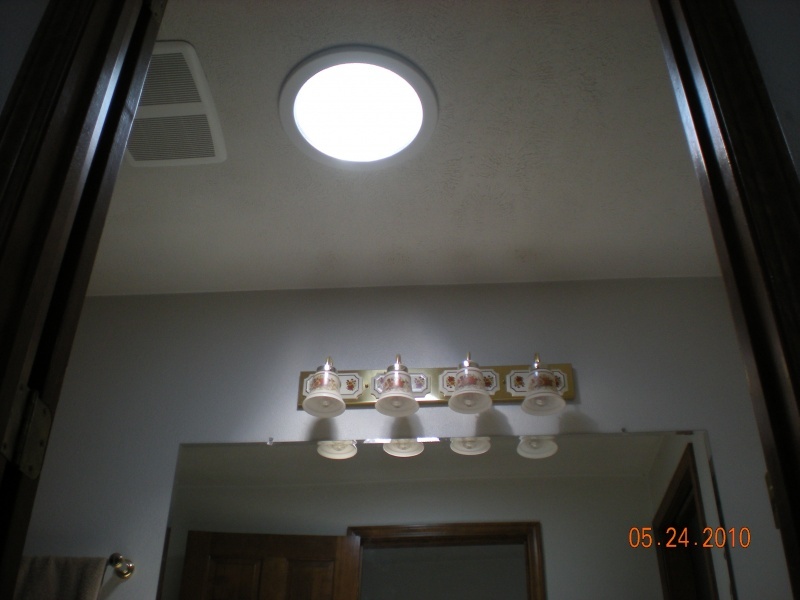 Chances are, you have clicked onto this Skylight & Sun Tunnel tab because you do NOT have skylights in your home now! 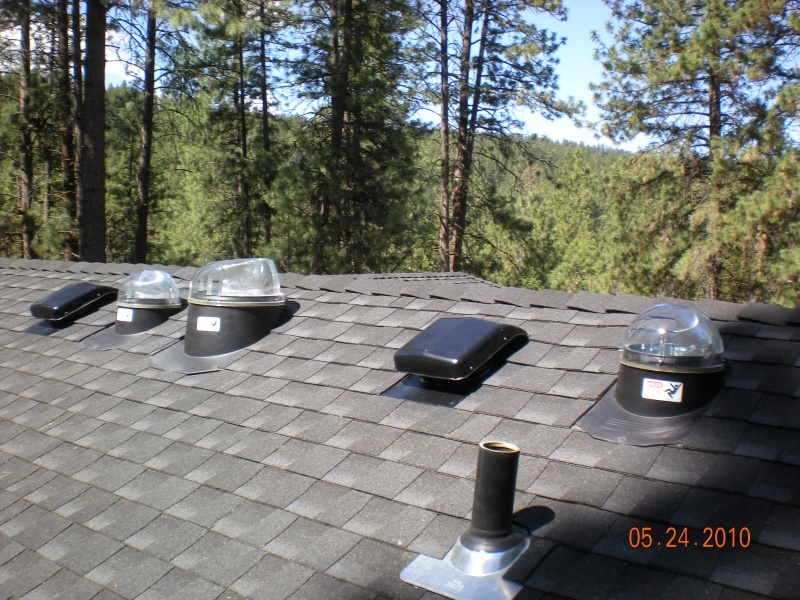 I hope you agree with the above statement and my general opinion about Skylights and Sun Tunnels. 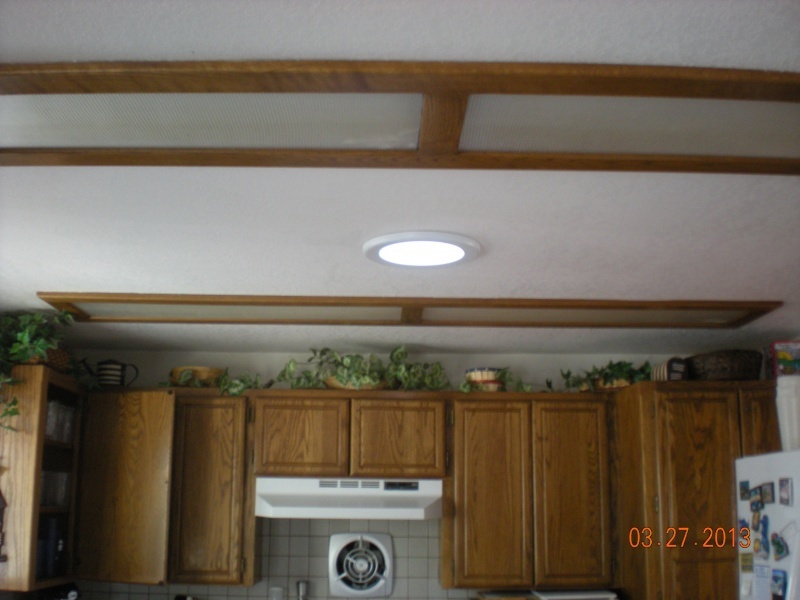 Skylights (in my opinion) finish the room! 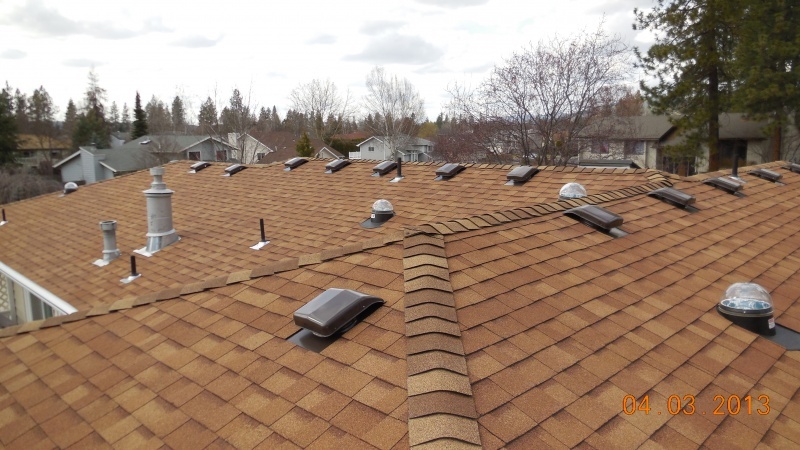 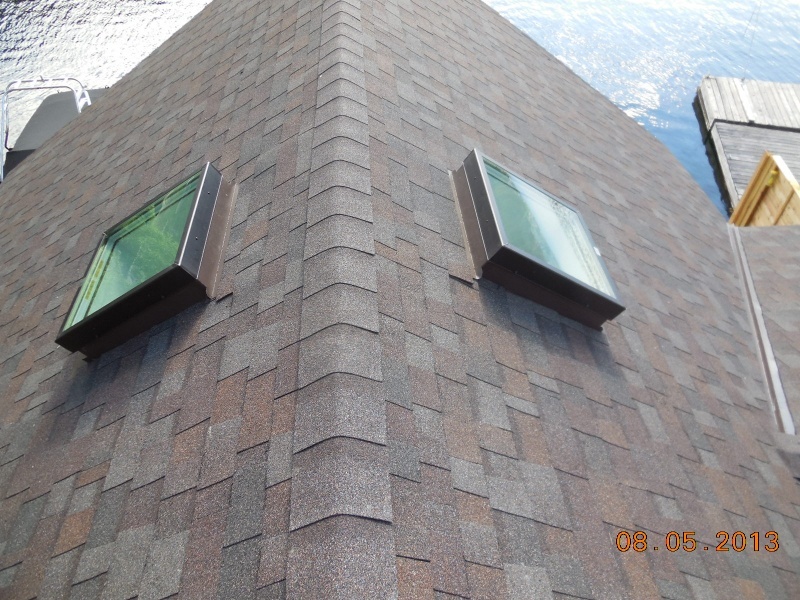 Maybe your home currently has skylights, great, but if those skylights are over 20 years old, they more than likely do not have the latest in energy efficiency technology inside the glass unit. 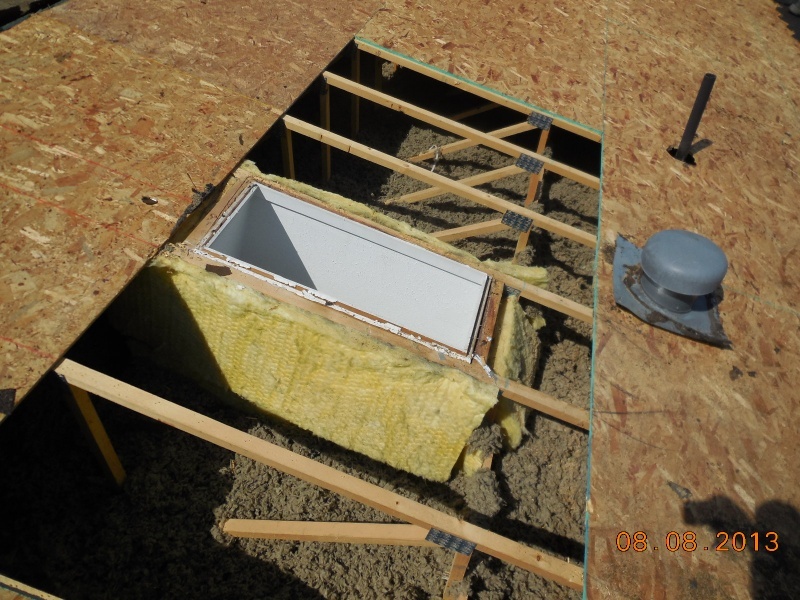 They may not be an insulated unit now! 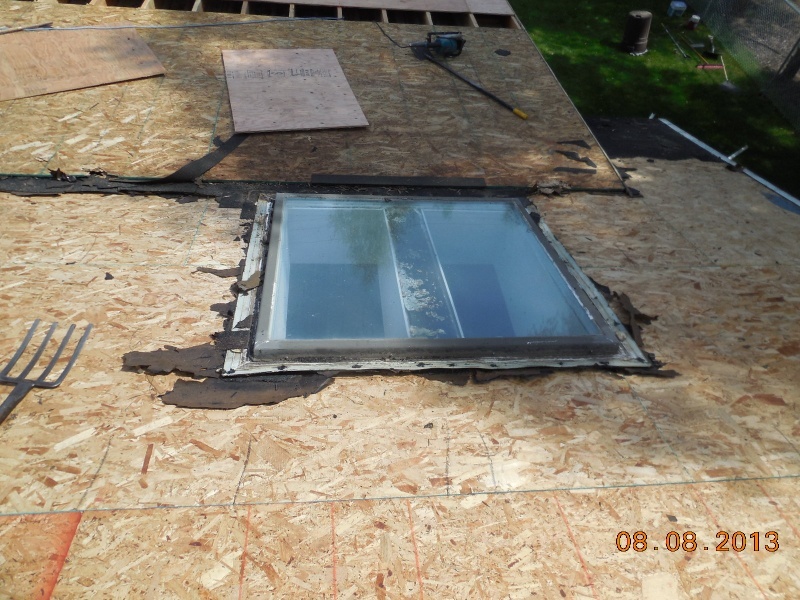 Lets face it…Heat rises and your old skylights can let a huge amount of heat escape because of the inefficiency of the glass. 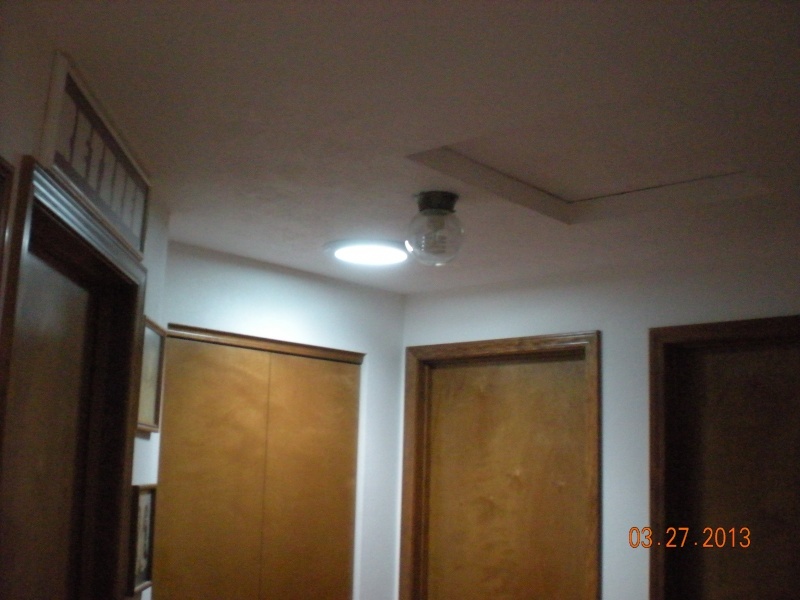 Just because they don’t leak “yet” that they are just fine. 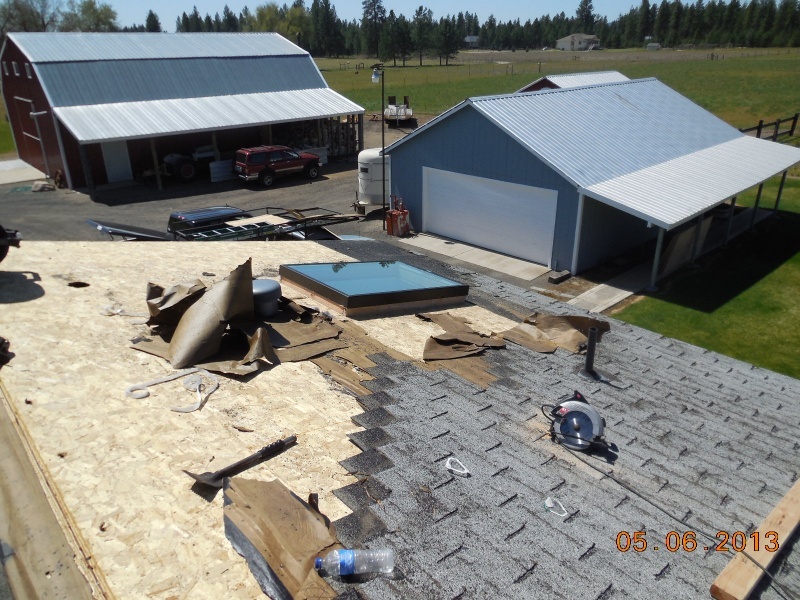 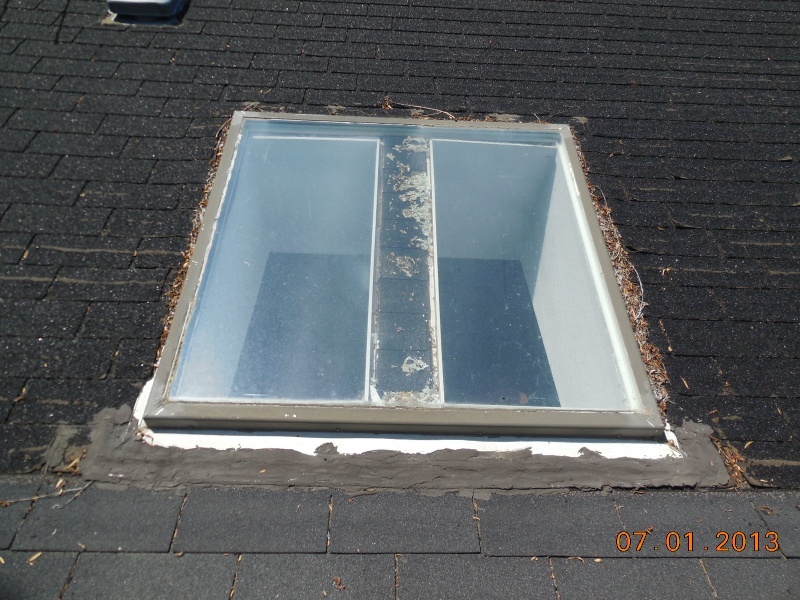 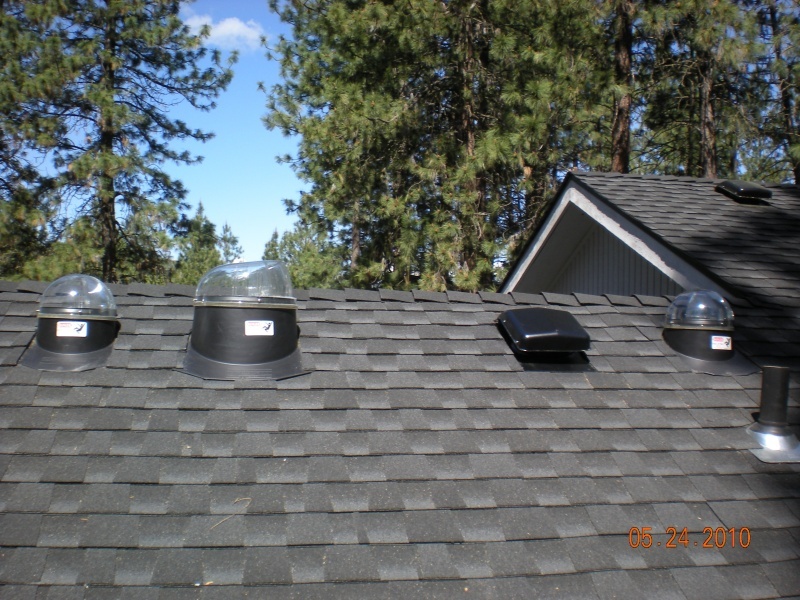 You might think about updating the older skylight(s ) to a more energy efficient skylight. 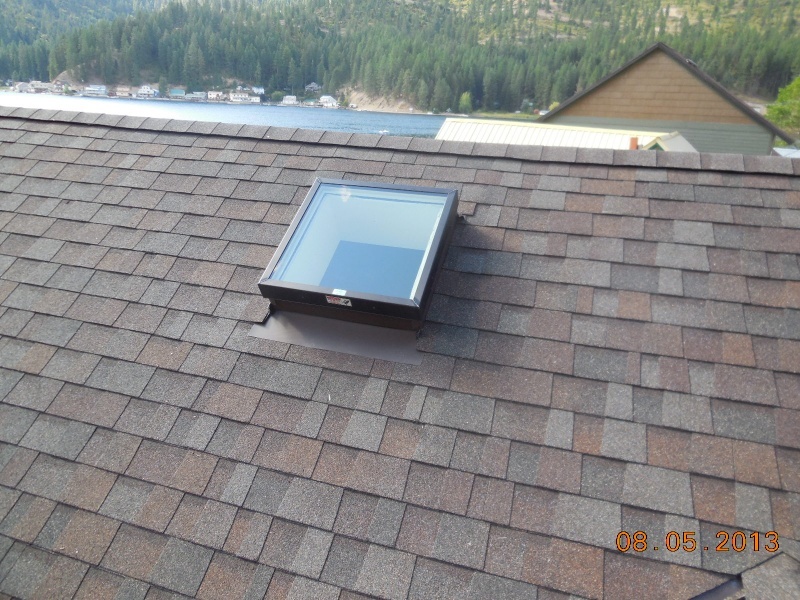 Our newer skylights have argon gas filled in-between the panes of insulated glass to reduce the potential of outside air temperature to move into the inside due to convection. 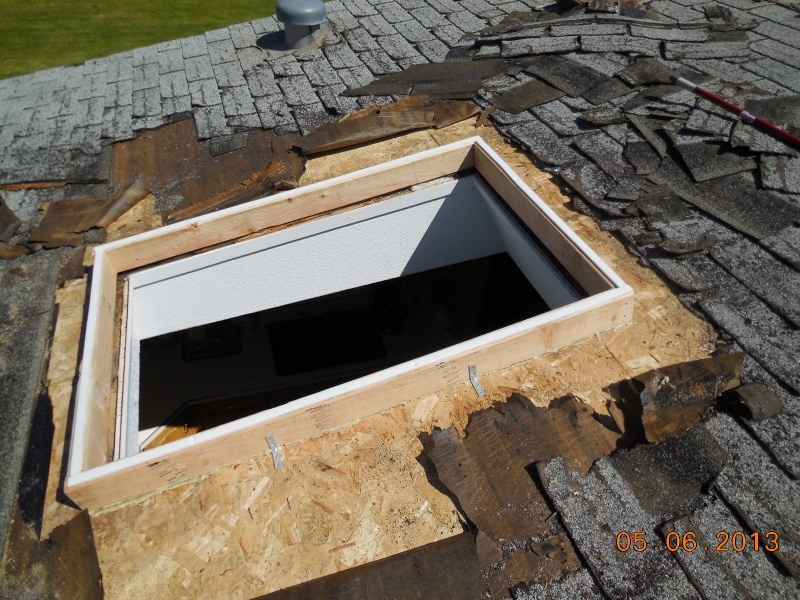 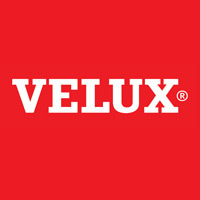 We can order a “low emissivity coating” applied to the inner-panes of both sides of the inside of the insulated unit and this coating is a microscopically thin layer of chemicals mixed with a metallic oxide that forms a coating that conducts the visible light while controlling the passage of heat. 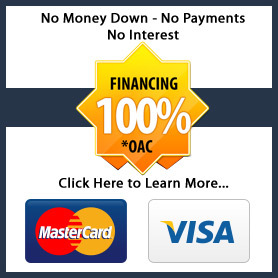 It is truly remarkable in my opinion! 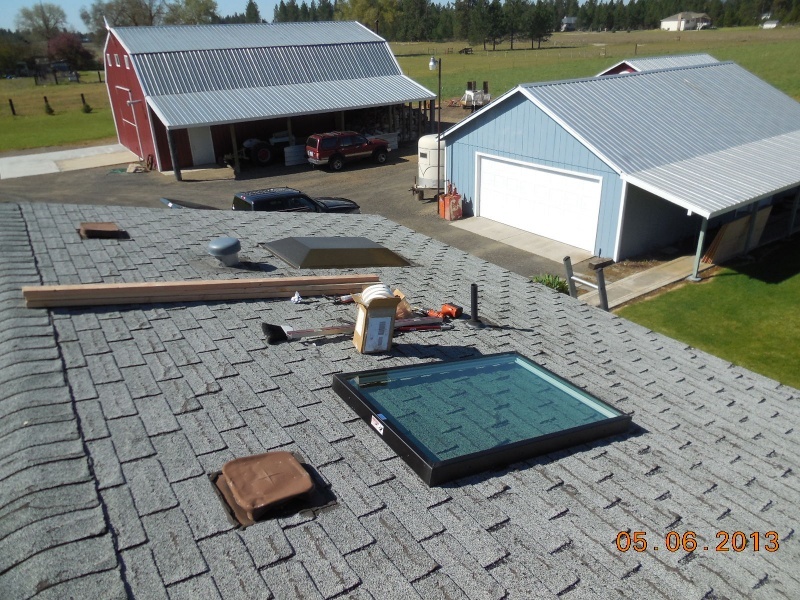 Click here for more technical information about Low-E. We have multiple layers of glass laminated together for noise reduction to tempered glass or heat strengthened/laminated for safety should something accidentally fall onto the skylight like a tree branch. 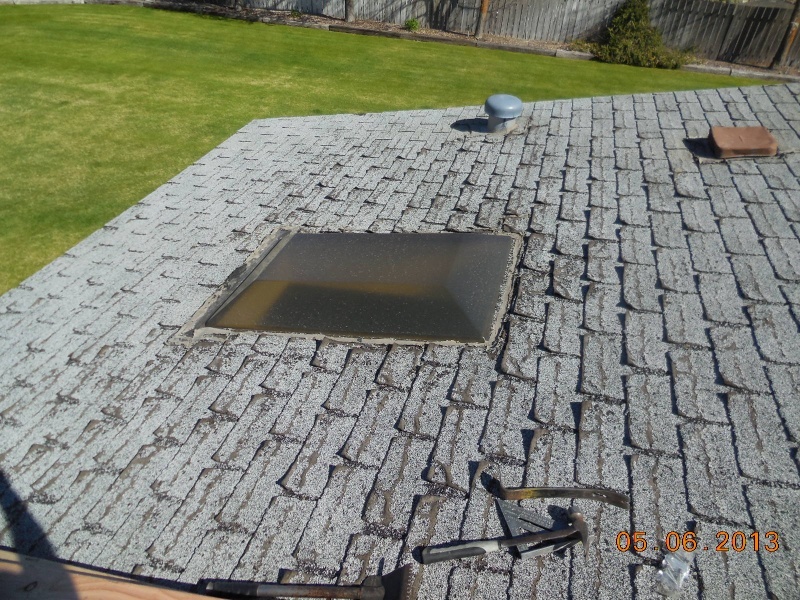 Wouldn’t you rather have the tree branch stuck in the skylight or come all the way through to the floor of your home (depending on the size of the branch). 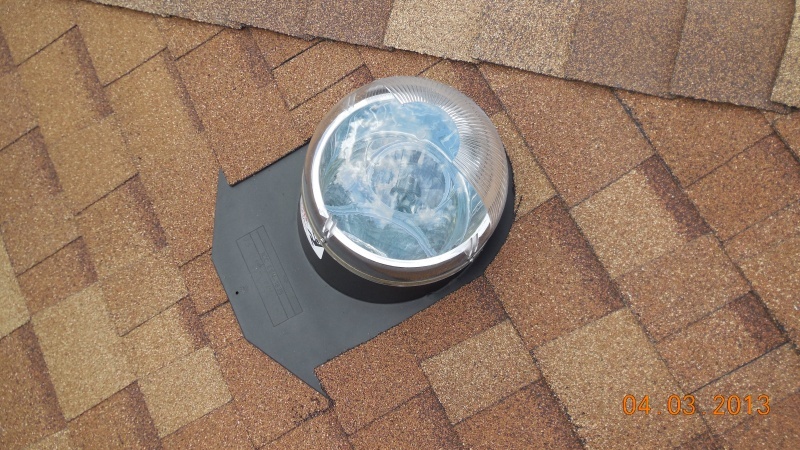 More and more home owners are opting for the Sun Tunnel Skylights (the round 10”-18” diameter globes you see up on house roofs these days) rather than the traditional rectangle or square framed flat glass skylights. 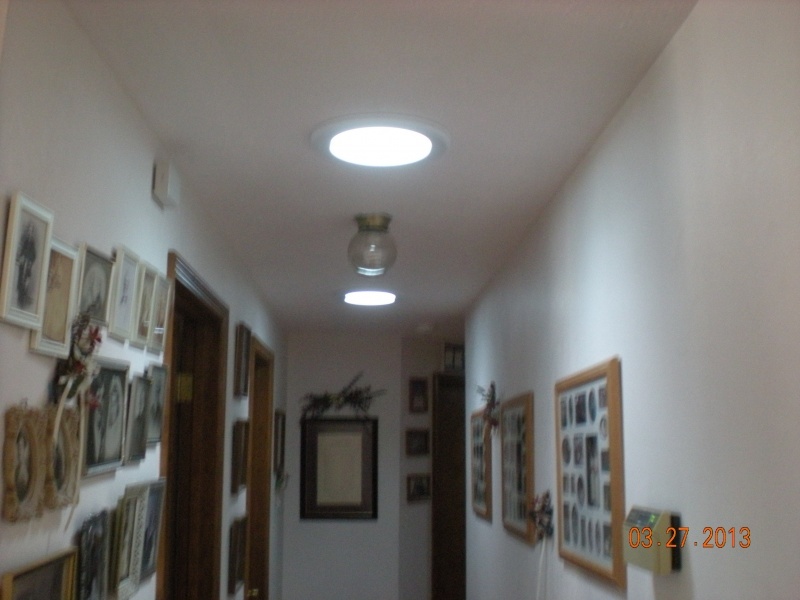 Please remember, these small round circles of light don’t typically put out the same amount of light like the larger rectangle roof mounted skylights for regular light transmission but they do an amazing job of letting enough light into a room in the daytime that you just may go for the light switch to turn the ceiling light out when it was never on in the first place! 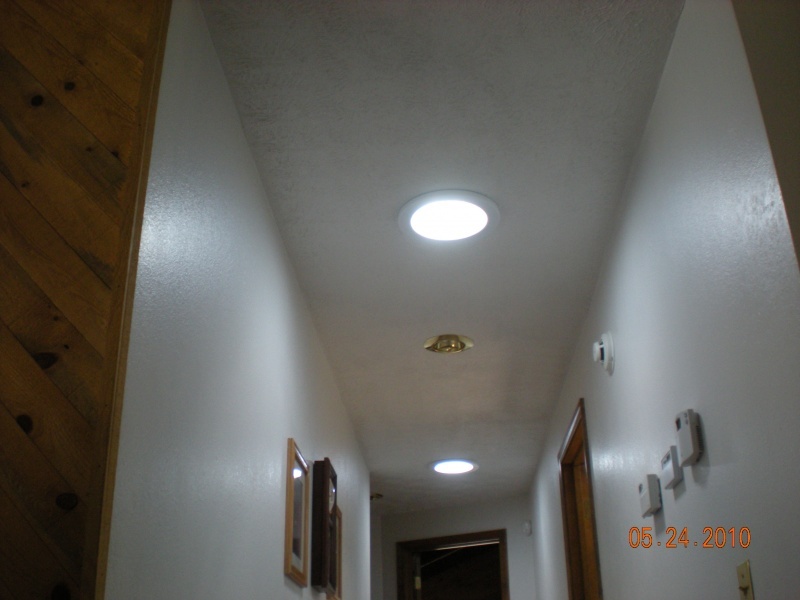 And speaking of light switches, we can install a sun tunnel with an actual light built into the “tunnel” that you can turn on at night as a secondary light as well. 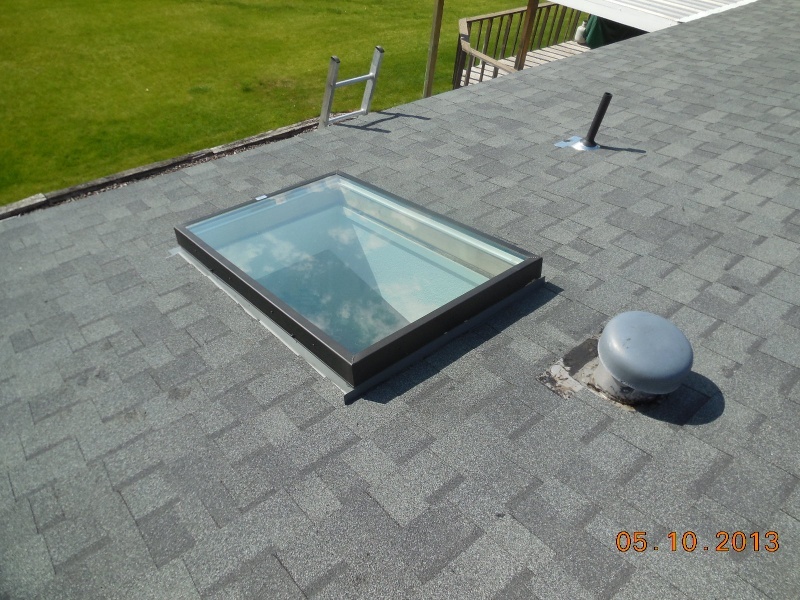 Many tubular skylights are Energy Star rated as well so just like a new vinyl window installations that we do, there may be some federal energy tax credits (see my blog on this) to take advantage of so be sure to contact your utility company and ask. 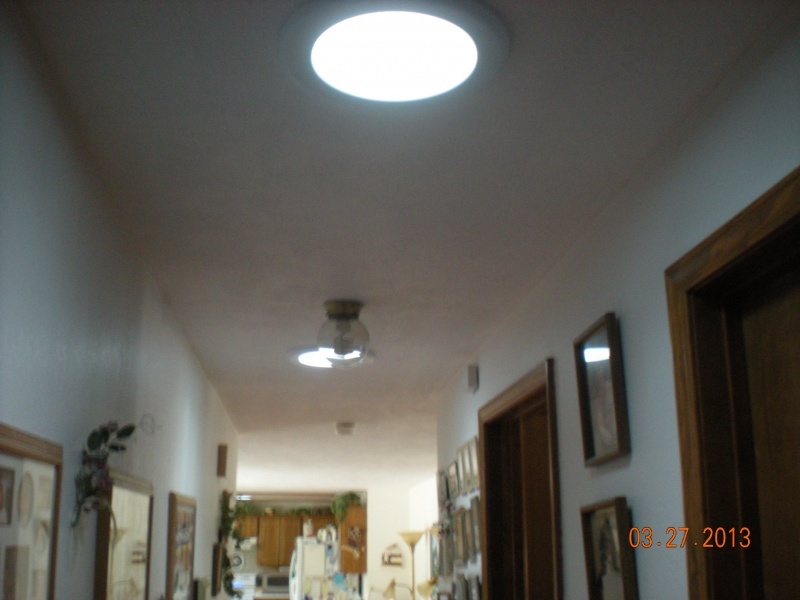 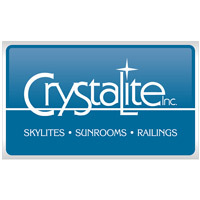 Please request a free estimate on the installation of a “state-of-the-art” Sun Tunnel installation for your home.